Abbington Green Bed & Breakfast Inn, Asheville NC: Asheville Bed and Breakfast Reminds That Asheville Tourists Baseball Club Has Fireworks on June 3rd! Asheville Bed and Breakfast Reminds That Asheville Tourists Baseball Club Has Fireworks on June 3rd! The Summer weather is here and what do you think of when the weather is warm? Why, it's BASEBALL, of course! And our Asheville bed and breakfast is always happy to see the Asheville "Tourists" Baseball Club at historic McCormick Field. You may remember from the film "Bull Durham" that Asheville's McCormick Field is where the character played by Kevin Costner had hit his 247th career home run! The field, originally dating from 1924, has been recently renovated and it looks great. 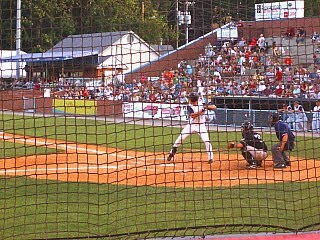 Yes, Asheville has a Minor League baseball team...actually a "farm team" for the Colorado Rockies. And do you know why Minor League baseball is great? Because anything can happen! Have you ever wondered what it's like to see a 95-mph fastball from the on-deck circle? And when was the last time you saw an inside-the-ballpark home run? Well, "sports fans", this is the place for you! 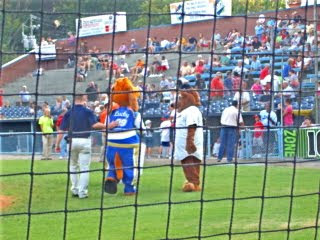 Terrific seats, low price and a laugh or two with the Asheville "Tourists" Baseball Club mascot, "Teddy Tourist". Well this Friday, June 3rd is very special at the "Tourists". Not only will there be a night game but immediately after there will be fireworks! This is the first of five games this season that will will feature fireworks after the game! 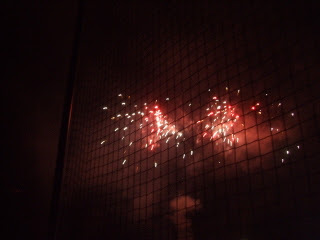 What a great combination: America's sport of baseball and fireworks, too! 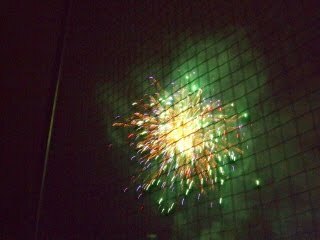 The next dates for baseball and fireworks are Monday, July 4th, Tuesday, July 5th, Friday, July 22nd and Friday, August 5th. So book your dates at our Asheville bed and breakfast and get ready for the fun. You'll be humming "...Buy me some peanuts and CrackerJacks, I won't care if we never get back..." as you enjoy Asheville, baseball and fireworks. A great Summertime combination!